The ensemble of buildings at Greenwich, an outlying district of London, and the park in which they are set, symbolize English artistic and scientific endeavour in the 17th and 18th centuries. The Queen's House (by Inigo Jones) was the first Palladian building in England, while the complex that was until recently the Royal Naval College was designed by Christopher Wren. The park, laid out on the basis of an original design by André Le Nôtre, contains the Old Royal Observatory, the work of Wren and the scientist Robert Hooke. L'ensemble des bâtiments de Greenwich, près de Londres, et le parc où ils sont édifiés, symbolisent remarquablement les efforts artistiques et scientifiques des XVIIe et XVIIIe siècles. Queen's House, œuvre d'Inigo Jones, est le premier édifice palladien de l'Angleterre, tandis que l'ensemble qui était encore récemment le Royal Naval College a été conçu par Christopher Wren. Le parc, dessiné à partir d'un concept original d'André Le Nôtre, abrite l'ancien Observatoire royal, œuvre de Wren et du scientifique Robert Hooke. ترمز أبنية غرينيتش المجاورة للندن والمنتزه الذي شيدت فيه الى الجهود الفنية والعلمية التي بذلت في القرنين السابع عشر والثامن عشر. ويعتبر بيت الملكة الذي صممه اينيغو جونز البناء البالادي الأسلوب البالادي الأول في انكلترا، بينما تولى كريستوفر رين تصميم المجمع الذي احتضن الكلية البحرية حتى فترة ليست ببعيدة. أما المنتزه الذي جرى تصميمه حسب مفهوم فريد لأندريه لو نوتر فيضم المرصد الملكي الذي شيده ورين والعالم روبرت هوك. Ансамбль зданий в Гринвиче, окраинном округе Лондона, вместе с парком, в котором они расположены, символизируют художественные и научные устремления XVII и XVIII вв. Куин-Хауз, спроектированный Иниго Джонсом, стал первым зданием в стиле Палладио в Англии. Весь комплекс, где до недавнего времени находилась Королевская морская академия, был спроектирован Кристофером Реном. В парке, разбитом на основе эскизного проекта Андре Ленотра, находится Старая королевская обсерватория – творение Рена и астронома Роберта Хука. Situadas al sur del Atlántico, la isla de Gough y la isla Inaccesible figuran entre los ecosistemas insulares y marinos de la zona templada fría menos alterados por la presencia del ser humano. Ambas islas poseen imponentes acantilados que se yerguen como altas torres en medio del océano y albergan una de las colonias de pájaros marinos más importantes del planeta. Además, presentan la característica de que no se ha introducido ningún mamífero en ellas. La isla de Gough alberga doce especies endémicas de plantas y dos de aves terrestres: la gallereta y el semillero de Gough. Por su parte, la isla Inaccesible cuenta con dos especies endémicas de aves, ocho de plantas y diez de invertebrados como mínimo. Het geheel van gebouwen in Greenwich – een buitenwijk van Londen – en het park waarin ze gesitueerd zijn, symboliseren de 17e en 18e-eeuwse Engelse artistieke en wetenschappelijke verworvenheden. The Queen’s House (gebouwd door Inigo Jones) was het eerste Palladiaanse gebouw in Engeland. Het complex, dat tot voor kort het Royal Naval College was, is ontworpen door Christopher Wren. Het park is aangelegd op basis van een origineel ontwerp van André le Nôtre en bevat het Old Royal Observatory, dat tegenwoordig de basis is voor het meten van tijd en lengte over de hele wereld. Symmetrically arranged alongside the River Thames, the ensemble of the 17th century Queen’s House, part of the last Royal Palace at Greenwich, the palatial Baroque complex of the Royal Hospital for Seamen, and the Royal Observatory founded in 1675 and surrounded by the Royal Park laid out in the 1660s by André Le Nôtre, reflects two centuries of Royal patronage and represents a high point of the work of the architects Inigo Jones (1573-1652) and Christopher Wren (1632-1723), and more widely European architecture at an important stage in its evolution. It also symbolises English artistic and scientific endeavour in the 17th and 18th centuries. Greenwich town, which grew up at the gates of the Royal Palace, provides, with its villas and formal stuccoed terraces set around St Alphege’s church rebuilt to Hawksmoor’s designs in 1712-14, a setting and approach for the main ensemble. Inigo Jones’ Queen’s House was the first Palladian building in Britain, and also the direct inspiration for classical houses and villas all over the country in the two centuries after it was built. The Royal Hospital, laid out to a master plan developed by Christopher Wren in the late 17th century and built over many decades by him and other leading architects, including Nicholas Hawksmoor, is among the most outstanding group of Baroque buildings in England. The Royal Park is a masterpiece of the application of symmetrical landscape design to irregular terrain by André Le Nôtre. It is well loved and used by residents as well as visitors to the Observatory, Old Royal Naval College and the Maritime Museum. The Royal Observatory’s astronomical work, particularly of the scientist Robert Hooke, and John Flamsteed, the first Astronomer Royal, permitted the accurate measurement of the earth’s movement and also contributed to the development of global navigation. The Observatory is now the base-line for the world’s time zone system and for the measurement of longitude around the globe. Criterion (i): The public and private buildings and the Royal Park at Greenwich form an exceptional ensemble that bears witness to human artistic and creative endeavour of the highest quality. Criterion (ii): Maritime Greenwich bears witness to European architecture at an important stage of its evolution, exemplified by the work of great architects such as Inigo Jones and Christopher Wren who, inspired by developments on the continent of Europe, each shaped the architectural development of subsequent generations, while the Park exemplifies the interaction of people and nature over two centuries. Criterion (iv): The Palace, Royal Naval College and Royal Park demonstrate the power, patronage and influence of the Crown in the 17th and 18th centuries and its illustration through the ability to plan and integrate culture and nature into a harmonious whole. Criterion (vi): Greenwich is associated with outstanding architectural and artistic achievements as well as with scientific endeavour of the highest quality through the development of navigation and astronomy at the Royal Observatory, leading to the establishment of the Greenwich Meridian and Greenwich Mean Time as world standards. The boundary of the property encompasses the Old Royal Naval College, the Queen’s House, Observatory, the Royal Park and buildings which fringe it, and the town centre buildings that form the approach to the formal ensemble. All the attributes of Outstanding Universal Value are included within the boundary of the property. The main threats facing the property are from development pressures within the town that could impact adversely on its urban grain and from tall buildings, in the setting, which may have the potential to impact adversely on its visual integrity. The ensemble of buildings and landscapes that comprise the property preserve a remarkably high degree of authenticity. The Old Royal Naval College complex, in particular the Painted Hall and Chapel, retains well its original form, design and materials. The Royal Observatory retains its original machinery and its associations with astronomical work. The management of the Old Royal Naval College as a single entity now allows for coordinated conservation of the buildings and surrounding spaces. The Observatory, Queen’s House and its associated high-quality 19th century buildings are all managed as elements of the National Maritime Museum. The landscape of the Royal Park retains its planned form and design to a degree with some ancient trees still surviving. The stuccoed slate roofed terraces of the town that form the approach to the formal buildings and the Park retain their function as a commercial and residential centre. The coherence and conservation of buildings within the town is good, although there is a need for some refurbishment and to repair the urban pattern within the property, where it was disrupted by World War II bombing and subsequent reinstatement. The UK Government protects World Heritage properties in England in two ways. Firstly, individual buildings, monuments, gardens and landscapes are designated under the Planning (Listed Buildings and Conservation Areas) Act 1990 and the 1979 Ancient Monuments and Archaeological Areas Act and secondly through the UK Spatial Planning system under the provisions of the Town and Country Planning Acts. Government guidance on protecting the Historic Environment and World Heritage is set out in the National Planning Policy Framework and Circular 07/09. Policies to protect, promote, conserve and enhance World Heritage properties, their settings and buffer zones can be found in statutory planning documents. The Mayor’s London Plan provides a strategic social, economic, transport and environmental framework for London and its future development over a period of 20-25 years and is reviewed regularly. It contains policies to protect and enhance the historic environment including World Heritage properties. Further guidance is set out in London’s World Heritage Sites – Guidance on Setting and The London View Management Framework Supplementary Planning Guidance which protects important designated views, some of which focus on the property. The London Borough of Greenwich Unitary Development Plan (UDP) contains guidance to protect and promote the Maritime Greenwich World Heritage property which have been saved and will remain in place until the UDP is replaced by the emerging Local Development Framework (LDF). There are also policies to protect the setting of the World Heritage property included in the current statutory plans for the neighbouring London Boroughs of Lewisham and Tower Hamlets. The property is protected by a variety of statutory designations: the hospital, Queen’s House and observatory buildings are Grade 1 listed buildings ; statues, railings and other buildings are of all grades; and the surrounding residential buildings of Greenwich town centre lie within a Conservation Area. There are a number of scheduled monuments in the Park which is itself a Grade 1 registered park and garden, and elements of the park are considered important for nature conservation. The Royal Park is owned, managed and administered by The Royal Parks, a Crown agency. The Queen’s House and associated 19th-century buildings and the Royal Observatory is in the custodianship of the Trustees of the National Maritime Museum. The Old Royal Naval College is in the freehold of Greenwich Hospital, which remains a Crown Naval charity. The buildings are leased to the Greenwich Foundation for the Old Royal Naval College, also a registered charity whose objectives are to conserve, maintain and interpret the buildings for the public. The Royal Courts are leased to Greenwich University and Trinity Laban Conservatoire of Music and Dance to form the Maritime Greenwich University Campus. Greenwich Foundation also retains and maintains a number of key buildings. Commercial activities in the town centre are coordinated by a town centre manager. The management of the property is guided by a Management Plan approved by all the key partners which is regularly reviewed. A World Heritage Coordinator is responsible for development and implementation of the Management Plan and overall coordination for the whole property; this post reports to a World Heritage Executive Committee made up of key owners and managers within the property. A World Heritage Site Steering Group made up of key local stakeholders and national organisations monitors implementation of the Management Plan. The history, value and significance of the property is now explained to visitors through Discover Greenwich, a recently opened state-of-the-art visitor centre which helps orientate visitors before entering the property. The Royal Park, like any designed landscape evolving over time, is vulnerable to erosion of detail and its maintenance and conservation form part of a detailed plan that sets out the design history of the Royal Park, and the rationale for its ongoing maintenance and future restoration of the historic landscape, in particular, the way in which avenues and trees are managed and re-planted. A number of high-profile annual events are held within the Royal Park, some of which have several millions of spectators worldwide. For all events, appropriate safeguards are put in place to ensure there is no adverse impact on the attributes of Outstanding Universal Value, in particular on the Royal Park trees, on underground archaeology or on the surrounding buildings. 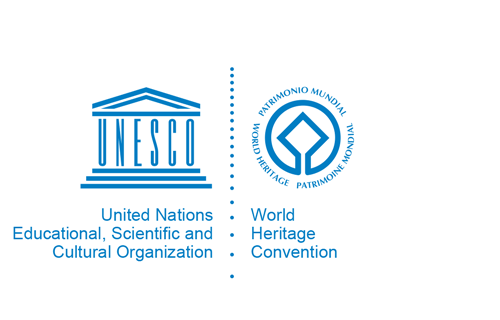 The events generate worldwide interest in, and publicity for the World Heritage property.